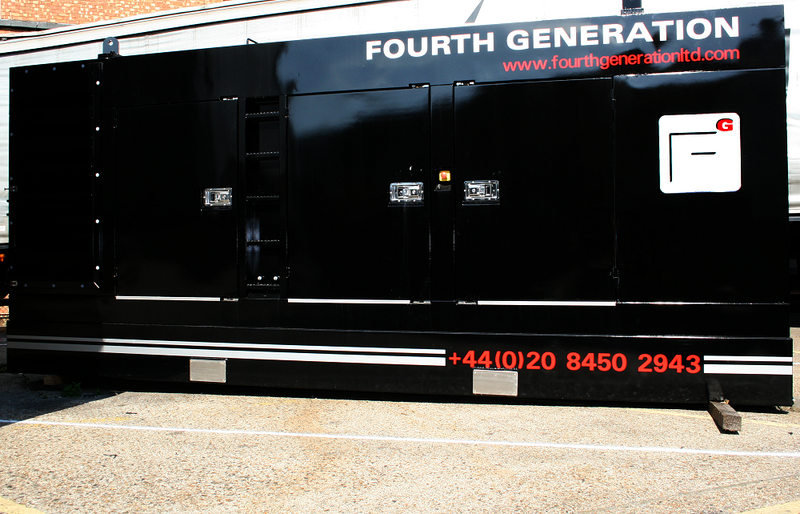 FOURTH GENERATION is a company designed to serve the temporary power needs of the live event and entertainment industry. Specialising in concert tours, television, broadcast, sporting and large scale corporate and private events. Fourth Generation is UK based and provides a full service worldwide. We can provide a wide range of generators for any need, our distribution products range from one extension cord to enough equipment to power a small city. We also supply transformers, uninterruptible power supplies, aluminium cable ramps and crew. 150kVA generators are now available for hire. Details to follow soon. If your project demands, Fourth Generation can provide logistical and consulting services based on 20 years of experience in the specialist niche market of entertainment on a worldwide scale. We pride ourselves on providing a complete turnkey pricing package with no hidden cost to the production. We have (and give you!) the power to perform. Whatever your requirement may be, we would welcome the opportunity to work with you. Let us know your specification and deadline, we’ll work to ‘make it happen’. Not sure of what you need? Call us, we’re happy to advise. Copyright © 2008 - Fourth Generation Limited. All rights reserved.